The Road Taken: A Woman’s Life In and Out of the Pulpit – See What’s New!! THE ROAD TAKEN is now in paperback! Recently published by Tate Publishing , the book Is available at Amazon.com, Barnes&Noble.com as well as major book stores. Here’s the news release…LUFKIN, Texas — Author Victoria Davidson announces the nationwide release of her new book, “The Road Taken: A Woman’s Life In and Out of the Pulpit,” where she shares a personal story of both the professional and everyday family life of a minister. In “The Road Taken: A Woman’s Life In and Out of the Pulpit,” the author shares how a minister’s life is a curious mixture of pain and deep joy, of public performance and private agony, of blessed assurance and a hell of doubt. This book explains how the personal is never really separated from the public nor the public from the personal. Being female adds extra to an already complex and even mystifying profession. Join Davidson in this enlightening read as she shares insights and experiences of life inside and outside the pulpit. Davidson, who is a graduate of Southern Methodist University’s Perkins School of Theology, has been a United Methodist minister for over 35 years. Currently retired, she lives in East Texas with her husband, Steve Paul. She has two daughters and four grandchildren. As I was walking this morning on my favorite path, I felt like it is fall of the year at last. It is a time for renewal and also a time for memories. 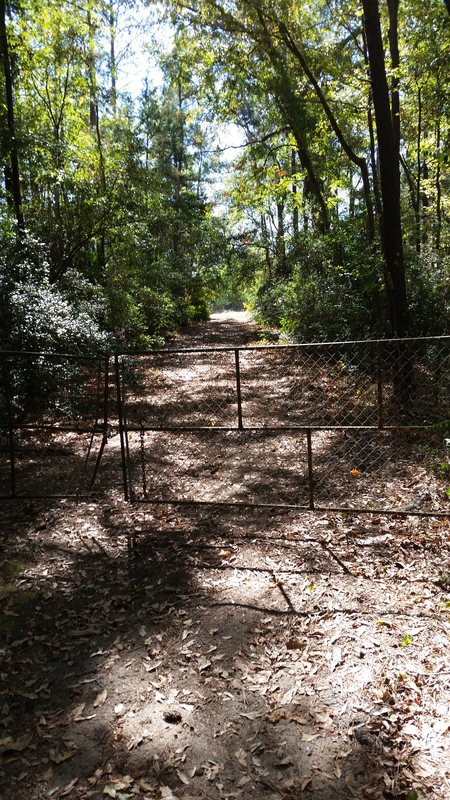 As I passed near the place which used to be called Mulberry Hill, I slowed and so wished I could get through the padlocked gate to climb the incline leading up to the place where my mother’s family home stood. It’s where she and my father met. Her family hadn’t lived there long, but she had heard of Charley Blackburn –- a confirmed bachelor. It was rumored that he had left a trail of broken hearts behind him. One summer day, he came strolling down the road with friends with whom my mother was familiar. They climbed the hill and greeted Mary. She noticed the tall rather sullen man seated beside her friends on the front porch hadn’t spoken. He was introduced, but merely nodded.“Charley, Mary has a piano. Go play us a tune.” He declined but Mother said he was afraid to. With that, he got up and with the others following, walked into the living room, sat down at her piano and began to play an old tune, “My Darling Nellie Gray.” It was a very familiar fiddle tune usually played at a fast danceable pace. Surprisingly, he began it slowly and began to sing. Mary was astonished. She realized he was so different from the rollicking crowd she went to dances with. “I’m going to marry that man,” she thought. And she did. In late September that year. If I could climb that hill this many years later, I’d carefully look around at that deserted area, no house there now, and try hard to find some small piece of stone or timber that had once formed the foundation, or an old jelly jar which perhaps had graced the breakfast table. Such are the ruminations the fall of the year. I finished my walk glad that now, in the late fall of my life, I live this close to Mulberry Hill. At harvesttime, three of the thirty chiefs went down and joined David at the fortress of Adullam, while a force of Philistines were camped in the Rephaim Valley. At that time, David was in the fortress, and a Philistine fort was in Bethlehem. David had a craving and said, “If only someone would give me a drink of water from the well by the gate in Bethlehem.” So the three warriors broke through the Philistine camp and drew water from the well by the gate in Bethlehem and brought it back to David. But he refused to drink it and poured it out to the Lord. “The Lord forbid that I should do that,” he said. “Isn’t this the blood of men who risked their lives?” So he refused to drink it. II Samuel 23:13-17 (ceb). Monday is Memorial Day. Approaching that day brings me to consider certain aspects relevant to an observation of such a memorial. I first began to get my thoughts together for a sermon for England’s Remembrance Day several years ago at Skipsea Methodist Church in East Yorkshire. Shortly before that particular Sunday, I had read of a Veterans’ Day service at the huge Prestonwood Baptist Church in the Dallas area where paratroopers were lowered down from the (seemingly) very high ceilings of the huge church as the choir and orchestra led the singing of patriotic hymns. To me, such a spectacle does some serious issue-clouding. I also remember during the Desert Storm war sitting propped up on pillows in my bed watching on television the air strikes over Iraq while an excited voice-over told us of the very advanced weapons systems being used and what destruction such weapons could inflict. Another thing I recall is a World War II Bill Mauldin cartoon: Willie and Joe, in Italy behind the battle line, dirty and exhausted, see a clean-shaven, well groomed young trooper striding by obviously with a chip on his shoulder. “That cain’t be no combat man–he’s lookin’ for a fight!” No combat veteran goes looking for more fighting….. I think it is very important to make a distinction between remembering the men and women who have given their lives in defense of country and home, as well as the survivors of battle, and war itself as a political decision. It is said that William Manchester went AWOL from a field hospital on Okinawa when he learned his unit was scheduled to make an amphibious assault behind Japanese lines…and though terribly wounded…he couldn’t bear the thought of his buddies in mortal danger without being there to help. David, in the passage from Scripture quoted above, in a moment of longing said, “Oh that someone would get me a drink of water from the well near the gate of Bethlehem!” Three of his veteran campaigners go through great risks in enemy territory to bring back water from the Bethlehem well for David. But David cannot drink it: instead he pours it out as a thank offering to their bravery. Somehow, the depth issues of life…love, sacrifice, giving one’s utmost…these qualities become obscured from our awareness in our comfortable, middle-class lives. Instead of being challenged on Sunday mornings in church, so often worship becomes a feel-good community event or a staging area for Sunday lunch with friends. We tend to forget that we are free because of the risks of mighty men and women who have bought the cup of freedom, sometimes at the cost of their lives. Another thing which becomes obscured in the midst of life’s busyness and trivialities is that, underneath, we are all brothers and sisters. About fifteen years ago, in the midst of a tour of a WWII battleship, a pastor from Maine observed an elderly Japanese man bringing a wreath, and reverently and in obvious sadness tossing it over the side of the ship while the tour lecturer continued on. But the pastor was not the only one observing the Japanese man. He saw one of the American vets step forward, salute and hold the salute until the Japanese gentleman turned and saw him. He returned the salute — they faced each other with tears and then each returned to their separate ways…a moment of grace and recognition. Hallowed are the sacrifices made, and today we specially recognize and remember those sacrifices. However, Rev. Peter Storey (a South African professor and who was a chaplain to Nelson Mandela as well as a peace activist) has pointed out, “Ultimately, Christians have a higher loyalty than that of flag or nation. We belong to a wider commonwealth. When Christ was nailed to the cross, he nailed us to our neighbors, breaking down the divisions between us. All Christians, whether pacifists or proponents of “just war,” are bound to acknowledge that for those who follow Jesus, all wars are civil wars. All wars, everywhere, are a form of fratricide.” And I would add all people, whether Christian or not, are brothers and sisters. May that soon come to fruition. What is it about a child that Jesus points to? **The classic image of a child is that of the powerless, without capacity to reward or repay. The little one is utterly at the wishes or whims of its care giver. As I think over my list of friends, acquaintances, former parishioners, I am reminded to question my own motives with even those whom I hold closest. Do I shower more attention on those who can benefit me? Rev. Larry James in Dallas once said in a workshop that we will be judged on how we treat people who cannot help us in any way. **A child is vulnerable. We mature out of vulnerability to varying levels. We learn to be so cagey. Nobody can put anything over on us. In fact, that’s close to the essence of “coolness.” Much as I like to be considered cool, trying to live honestly with who I am challenges my coolness at times. I have to be willing to be criticized when I am embracing an important principle or am asserting something about being me that is honest. I have to risk…being vulnerable. A child is vulnerable to what adults may or may not want to invest in them. It seems to always be difficult to get sufficient volunteers to teach the classes of small children in the church. They don’t know to thank us, they recognize us for our contributions before others nor praise us. Mike Gilchrist told about his first experiences in church. As a preteen, he began walking up the street to a church where he knew noone. He sat alone in worship every Sunday and checked off items in the bulletin as they transpired. One Sunday a well-dressed older woman sat by him, looked into his pimply face and said “Hi.” From then on, he got to feeling comfortable in her presence and, with her encouragement, he eventually joined that church….and became a terrific minister. **A child is loyal. Even when it’s not in his/her best interests. A parent can so often get away with abusing a child because the child is so loyal and will actually help in the cover-up of mistreatment. “Being as a child” perhaps refers to the capacity to trust fully. When busyness, or lack of caring leads to alienating our child, or anyone’s child, we deprive ourselves of the best, least self-interested friend we’ll ever have. When the church alienates the poor, the powerless, the broken, the handicapped, it loses so much and never knows what it missed. Apparently, receiving them is receiving Jesus. Great scot! What a peevish God. And that’s to say nothing about the entire book of Joshua where in the name of the Lord entire villages are killed, including all men and women, young and old, and all the animals. There is such a primitive understanding of the Lord who values the silver, bronze and gold vessels more than the lives of the Israelites themselves. Of course, they were very primitive people. They understood their God like other peoples about them understood their gods…jealous, angry, vengeful, and demanding great kow-towing before symbolic items representing the deity. The trouble starts for modern-day Christians when our belief system incorporates and assigns to God those same primitive characteristics. Did God have to have Jesus slain? What are we actually saying when we say Jesus died for our sins? That God demands blood sacrifice in order to be pacified?There’s that peevish God again. I’ve heard it called the fresh meat theory. That God demands that somebody’s gonna die for being unfaithful. We may infer from that passage that the nature of the deity is not like our nature. When we look at Jesus, we remember him telling us that there is no end to forgiveness of the transgressor… seventy times seven. He was infinitely kind, regardful of children, women, strangers, the marginalized….totally not human standards. In Elie Weisel’s Night, he tells of an eight-year-old being hanged for stealing a pair of gloves in the icy weather. Someone behind the men being forced to watch said “where is God now?” Another answered “He is hanging there.” That God suffers with us is a different kind of Godliness. A deity that suffers death with us and for us is truly remarkable. Is a God like this going to announce at some point that there is an end to forgiveness and send you to burn forever? Rather, wouldn’t this loving God be happy to welcome all? My belief is that God was revealed to us in the man Jesus, the Jesus who died because of our sins. He revealed the God who loves humankind so that he died at our hands…and because he was deity, he survived death and so may we survive death. Dr. W.J.A. Power used to say when teaching Perkins students the Psalms that the Psalmists do not speak to us so much as for us. I love that thought. Perhaps that’s why the 23rd Psalm is so well known and loved. We all experience the sense of loneliness at times and feel the need to reach out somewhere to someone. Loneliness has been described as the number one problem in America. I don’t doubt that for a minute. It’s wonderful to have time to sit with a good cup of coffee and listen to the birds singing, chirping, going about their business…to be alone and enjoy it. But consider the obverse of that: sitting at your desk with people all around you and wishing to God you had someone to talk to or feel close to. That’s the difference between being alone and loneliness. Several years ago, my cousin Beulah met a guy she liked, they went to dinner together and she forgot about him. One evening her phone rang and it was that guy. He told her he had just been awarded his PhD in mathematics and since he didn’t know who else would be interested in his accomplishment, he needed someone to share that with so he called her. As she related that to me she expressed her astonishment. “I don’t know him that well and, poor guy, he feels he doesn’t know anyone any better!” That sounds like loneliness. Suzanne Gordon who has written a book on loneliness says that an important ingredient of loneliness is a sense of hopelessness….that things will never be different. Tomorrow will always be like right now…in my worst moment. Ah, but we can turn to the Psalmist. He records his lonely moments and then what brings him up out of it. Sometimes spectacularly. he leads me beside still waters…..
for you are with me…..
I’m having a good day and am rather in a contemplative mood. 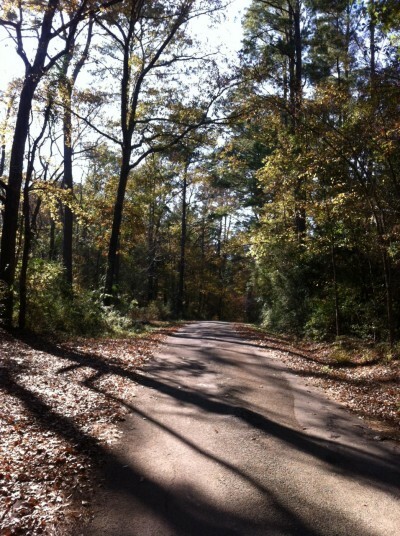 The book is finally published on Kindle (The Road Taken) and we here in east Texas are having sunshine and 62 degrees. Of course, in the next couple of days, we’ll have the cold onslaught that so many are having now. But the sun is streaming in my window and I can see a red-breasted woodpecker ranging up and down the smooth trunk of a leafless tree. The bird feeder is almost empty and the backyard is full of birds. So pleasant. There are times when I really miss living in the city but living in the country certainly has its compensations. Walking in the country is connecting with nature…..and, in my case, reconnecting with my past. My sister Peggy and I live in the same house we grew up in so memories really crowd around all along the so familiar road. I’m always aware, for instance, when I pass near the hillside where my mother lived the year she was 22, met and fell in love with my father. That was in 1922! The place was called Mulberry Hill then. Peggy and I may be the only two people now who remember this cow pasture was once romantic Mulberry hill. I have cousins living in every house on this long block except two. Both my daughters and my four grandchildren have loved this place. I guess Peggy and I have bequeathed a sense of deep rootedness to them. For that, I am happy. We need wings but also roots. Walking essentially the same route each time I walk, I love noticing the seasonal changes in the trees and the wide range of colors in the countryside. We’ll talk another day…..